The most important participant in the US presidential election is you – the voter – so the candidates try to win your vote by promising you solutions to the economic and social problems. Each political party has an agenda – a way of moving ahead and navigating change – and you’ll vote for the party whose way of doing things appeals to your bias. 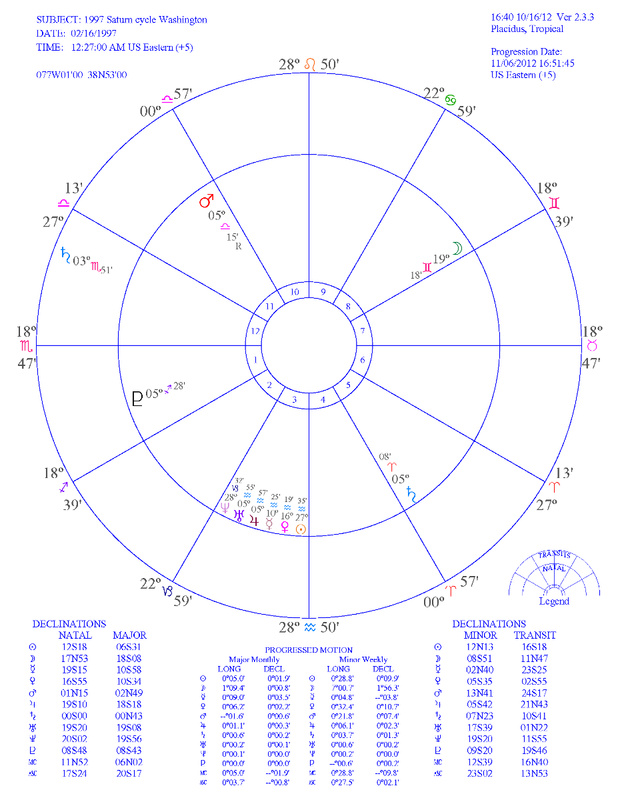 The astrologer has the candidate’s birthcharts and there’s a theory that one of these charts is predisposed to win, but the birthchart only reveals one side of the story. The environment – the electorate who votes – has to be factored in so the astrologer uses the opinion polls and two astrological cycle charts to gauge voter intention. The Presidential candidates, just like you, operate in an environment. This environment is a powerful situational force that permits some events and denies others. An event mapped in your birthchart can only occur if your local environment gives it the go ahead so if your chart gives an event the green-light and your environment says no the event won’t occur. And if your environment gives an event the green-light and your birthchart says no the event won’t occur. Your environment embraces all your human associates – your parents, siblings, partner, children, friends, neighbors, work-mates, enemies, mechanic and grocer – and it’s through these people – your environment – that events occur. And the Presidential candidate’s operate in an environment that embraces all the people in the United States and it’s through these people and their voting power that one candidate will win and the other will lose. The astrologer gauges the inclination of this powerful situational force – the voter – by the opinion polls and the aspects formed by Jupiter and Saturn in their respective cycle charts on election-day. There are many minor political parties in America but the Democrat Party and the Republican Party dominate the political landscape. And since the 1920s astrologers have given the astrological rulership of the Republicans to Jupiter and the rulership of the Democrats to Saturn. And there’s plenty of evidence to confirm that important events involving the Republicans occur when Jupiter is active in the Jupiter cycle and important events involving the Democrats occur when Saturn is active in the Saturn cycle. But in 2012 working out the astrology behind the political agenda isn’t easy. It seems that the basic fundamentals that originally determined each party’s astrological rulership were: Republican stands the business sector and rich (Jupiter) and Democrat stands for the working class and poor (Saturn). But a quick think soon reveals that the Democrats have a liberal political philosophy and Saturn isn’t liberal and the Republicans have a conservative political philosophy and Jupiter isn’t conservative. So this basic Jupiter-Saturn rulership has become very blurred. The Republican Party (Jupiter) has conservative political, economic and social views (Saturn). It prefers smaller government with most community services being provided by the private sector operating in a free market (Jupiter). It prefers less taxes, less spending and tax cuts for business (Saturn). Its philosophy is justice based (Saturn). It’s opposed to gay marriage, abortion and embryonic stem cell research (Saturn). And it supports the right to bear arms and the death penalty (Mars). So identifying the Republican Party with Jupiter doesn’t quite add up. And the Democrat Party (Saturn) has liberal political, economic and social views (Jupiter and Uranus). It prefers larger government, more regulation and the providing of community services like health care (Jupiter and Pluto). It prefers more taxes and more government spending (Jupiter). And its supports gay marriage, abortion and embryonic stem-cell research (Uranus). So identifying the Democrat Party with Saturn is drawing a very long bow. But whether the astrological rulership of either party has changed since 1920 can only be determined by meticulous investigative research. This theory is not claiming to indicate the winner in a political contest. It’s not saying that a harmonious aspect in the Jupiter cycle will result in a Republican victory. 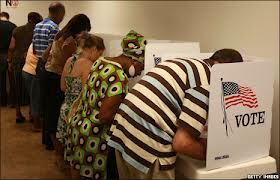 It’s saying that the Republican Party will poll a heavier vote than expected. That more Republicans will vote or more voters will vote Republican. The theory proposes that there is an expected vote, gauged by the electorate’s mood, and that an aspect in the Jupiter cycle maps a helpful or harmful deviation to the expected Republican vote: And that an aspect in the Saturn cycle maps a beneficial or detrimental deviation to the expected Democrat vote. And the expected vote is what the pollsters are saying about voter intention on election-day. So the theory introduces the environment – you the voter – into the astrological assessment. From 1916 to 1936 the theory was tested on an unknown number of political elections and during this time only 6 US Presidential elections were held. So a larger sample covering the 28 US Presidential elections held from 1900 to 2008 was undertaken to determine if the theory holds true. It was just a matter of checking if a harmonious aspect in the Jupiter or Saturn cycle charts did benefit their respective parties with a heavier vote than the polls predicted. And if a discordant aspect did influence the public’s voting intentions on the last days in a way that adversely influenced their party’s fortunes on election-day. But there were two problems that hampered the investigation and made definite judgements difficult. Information crucial to the investigation – like the public’s voting intentions and a detailed report on what happened in the last days of each election – is not readily available on internet websites. And the astrological image pictured in a cycle chart isn’t always crystal clear. Jupiter and Saturn can form harmonious aspects, discordant aspects or harmonious and discordant aspects at the same time and the harmonious aspects vary in their level of harmony and the discordant aspects vary in their level of discord. So in the end you can be left with a very delicate judgement. But the key data to consider is a candidate’s level of popularity – as indicated by the opinion polls – and then it’s a matter of gauging the up or down deviation to his expected vote as indicated by the aspects forming in his party’s cycle chart on election-day. Armed with this information there are two main issues to appraise. Can the candidate who’s ahead in the polls – the expected winner – lose because of cycle chart discord or will he win in spite of the discord. And can the candidate who’s behind in the polls – the expected loser – win because of cycle chart harmony or will he lose in spite of the harmony. So… if a Presidential candidate is so popular he can’t lose then don’t expect a discordant aspect in his party’s cycle chart on election-day to produce an ‘astonishing event’ that will alter the expected outcome. 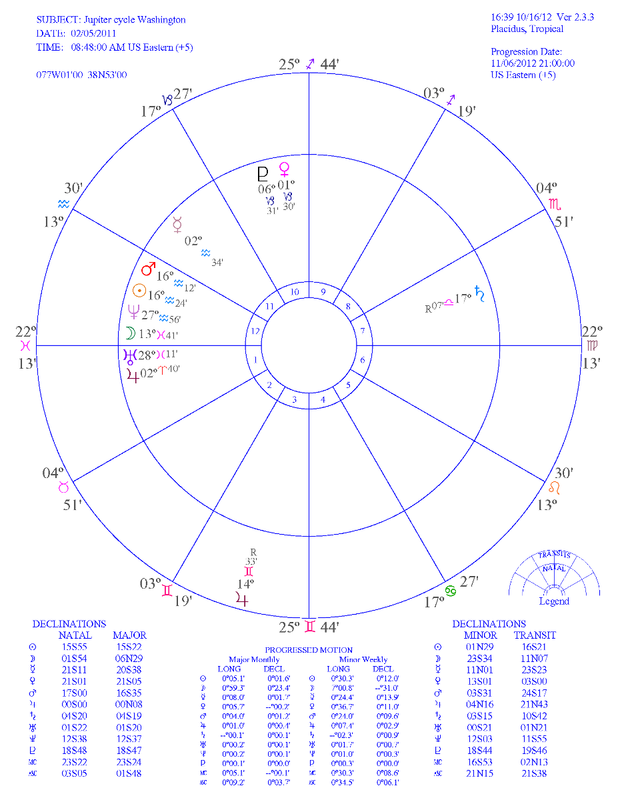 These cycle chart aspects on election-day provide valuable astrological information and two recent US election outcomes are well worth re-visiting. George W Bush’s win against Al Gore on November 7, 2000 had everyone fooled because Saturn trine Neptune in the Saturn cycle – a helpful aspect – didn’t seem to help the Democrats one bit. And Barack Obama’s win against John McCain on November 4, 2008 didn’t make sense because Saturn square Moon in the Saturn cycle – a harmful aspect – didn’t seem to harm the Democrat vote one iota. So these two results may well have you wondering if Saturn now rules the Republicans. When gauging voter intention the astrologer relies on data provided by pollsters, but when Washington became a television show these opinion polls became excitement and sensation driven. You might think the Presidential contest has become a six-month long baseball game or boxing contest where supporters experience the highs and lows of changing fortunes and commentators, with the testosterone flowing, eagerly await a knock-out blow. Everyone has to put on a good show. So the pollsters make phone calls and the astrologer trusts the latest opinion poll with its 3% margin of error. And as election-day approaches the opinion polls become more anticipated and more exciting. The polls provide important data and in most presidential elections they get it right. And it’s presumed that if the pollsters get the election result wrong, which is rare, that the reason will be found in the birthchart and progressed chart of the unexpected winner. But, that said, there are instances where a sensational event occurred in the last days of an election that dramatically altered voter intention and the expected outcome. So you could say that the astrologer has the birthchart and progressed charts of the Presidential candidates (and their running mates) and s/he has the birthcharts of the electorate summarized in the polling figures and the aspects forming in the Jupiter and Saturn cycle charts on election-day. And on October 7 the voter opinion polls favored Barack Obama by 2, 3 or 4 percentage points so he’s got his nose in front: And on election-day 2012 there’s a discordant aspect in both the Jupiter and Saturn cycle charts. This by itself indicates that both parties will suffer some problem or decline in voter support but whether the aspects translate into an unexpected result is hard to judge. As things stand Jupiter square Moon in the Jupiter cycle indicates a downward deviation to the Republican vote and Saturn sesquisquare Moon in the Saturn cycle indicates a downward deviation to the Democrat vote. The square aspect has a higher level of discord than the sesquisquare, but assessing how the discord might manifest and measuring its influence on each candidate’s expected vote is what the astrologer has to do. In this chart on election-day transit Jupiter at 14 Gemini 33R in house 3 has moved to form an obstacle (square) aspect with birthchart Moon at 13 Pisces 41 in house 12. It’s indicating a harmful decline to the Republican vote – a lower than expected Republican voter turn out –or some other problem for the Republicans on election-day. The aspect has just started and will reach its peak power and discord on November 14. 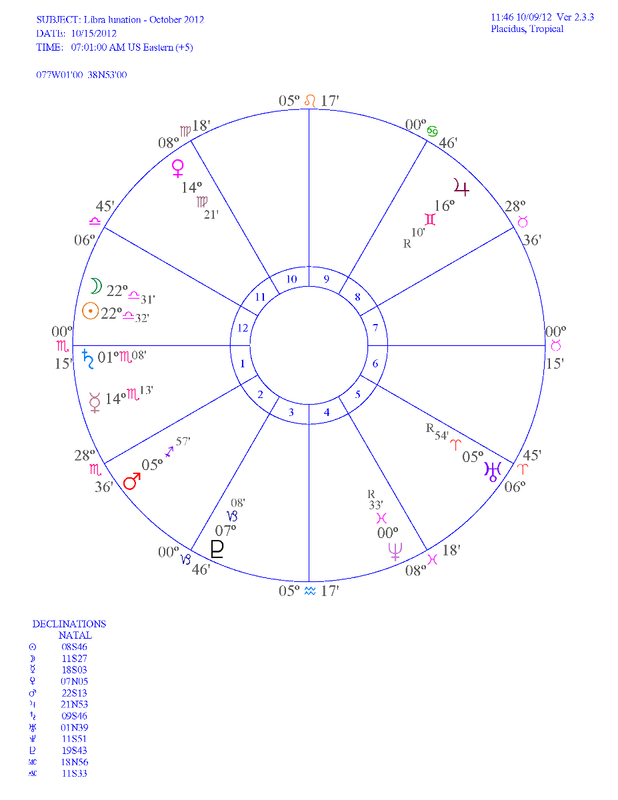 In this chart on election-day transit Saturn at 3 Scorpio 51 in house 12 has moved to form an agitation (sesquisquare) aspect with birthchart Moon at 19 Gemini 18 in house 8. It’s indicating a harmful decline in the Democrat vote – a lower than expected Democrat voter turn out – or some other problem for the Democrats on election-day. The aspect reaches its peak power and discord on November 10. The Uranus cycle chart is not considered to have a specific influence on either political party, but it could. It’s presented because Uranus – the planet of progressive politics and left and right wing extremists – is having such a powerful influence on the political agenda. Aquarius has two rulers, Saturn and Uranus, and both planets – one very conservative and the other very progressive – are having an extraordinary influence on the way life and living is currently trending on planet Earth. This trend is dominated by fundamentalism, unemployment, insecurity and fear and that’s Saturn and social unrest, extremism, technology and social media and that’s Uranus. 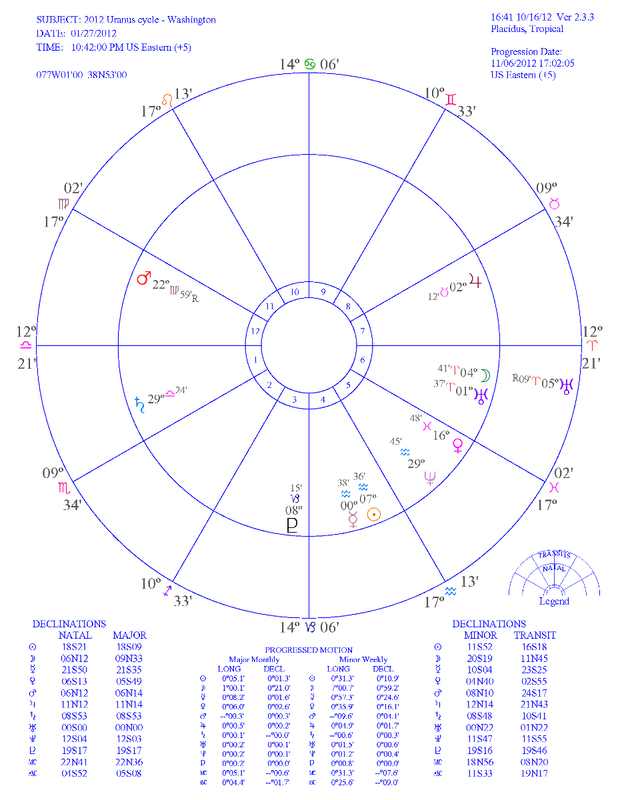 In this chart on election-day transit Uranus (at 5 Aries 09R) in house 6 has moved to form a prominence (conjunction) aspect with birthchart Moon (at 4 Aries 41). The two planets form a conjunction aspect in the birthchart and this transit will set off the birthchart conjunction indicating the time when important Uranus type events will influence America’s sixth house mundane agenda. This includes employees in general and their service, public servants, army, navy and police personnel, illness and food. The aspect starts on October 21 and peaks on November 29 and December 27. What’s interesting with these cycle chart aspects on election-day is that they all involve the Moon – planet of the everyday people. And the everyday people make up the largest voting block. So it’s just a matter of judging the influence of Jupiter, Saturn and Uranus on their voting intentions. The conjunction aspect has a prominence influence so the Moon-Uranus conjunction will be conspicuous and outstanding. The unexpected Uranus event, that’s good for one candidate and bad for the other, could involve the new jobs data (house 6 and house 10) that comes out on November 2. And on election-day the aspect’s influence will be most evident through social media and maybe the Latino vote – Uranus rules foreign-born people. In lesson No. 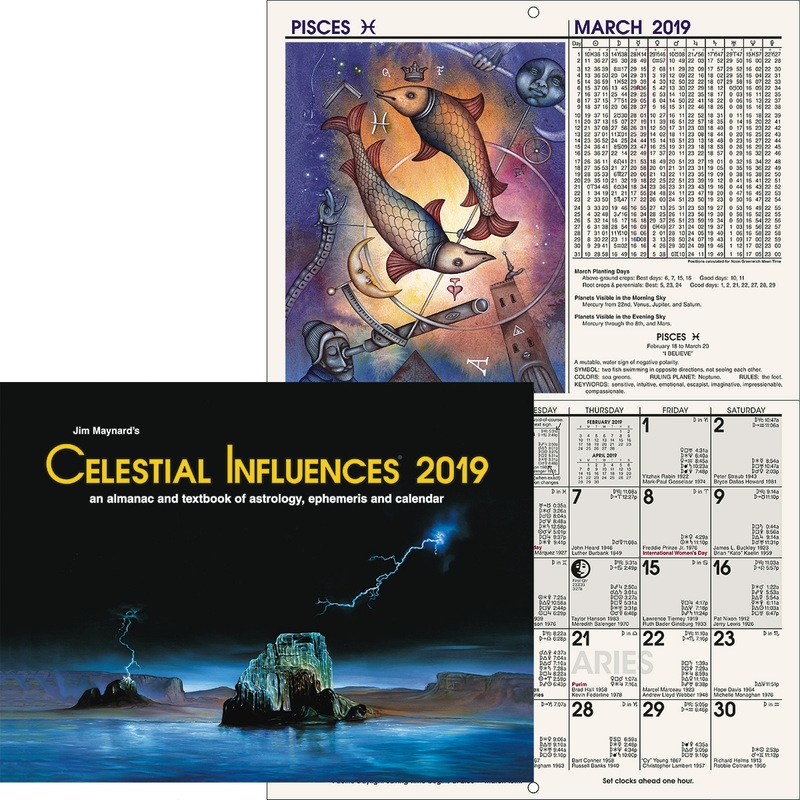 149 of Course 13 – Mundane Astrology – CC Zain states that the New Moon chart preceding an election has ‘considerable significance; although its trend should be considered in connection with the charts of the candidates’. He wrote: ‘If the tenth house and its ruler are powerful and harmonious, it indicates that party already in power is well entrenched. If the fourth house and its ruler are powerful and harmonious, it indicates that the opposition to the party in office has much power. If the tenth house is more powerful and harmonious than the fourth, the party in power will tend to remain in power. But if the fourth house is stronger and more harmonious than the tenth, it indicates that the party which is in opposition to the one in power has the advantage, and tends to gain the election.’ Back in the 1920s and 30s this matter of power and harmony was a personal judgement based on an uncertain rule, but in 1946 the astrodynes were developed to eliminate the uncertainty and to measure precisely the power and harmony of the tenth and fourth houses in a New Moon chart. Back in 1936 the Brotherhood of Light mundane astrology class would have assessed the fourth and tenth houses in this chart, the house positions of their cusp rulers and all their aspects to determine which was the stronger and more harmonious. It would have noted that the Mid-Heaven formed an exact grand trine with Mars in house 2 and Uranus in house 5 and that the Sun in house 12 – the cusp ruler of house 10 – formed trine aspects with Jupiter and Neptune. So house 10 – the incumbent – was doing very well in the power and harmony department. And then it would have noted that Neptune in house 4 was trine the ascendant and Saturn, that Saturn the cusp ruler in house 1 was trine Neptune and square MC and that Uranus the other cusp ruler in house 5 was trine Mars and trine MC. So house 4 – the out-of-office party – was doing well in the power and harmony department too. What the astrodynes reveal is that house 4 has 10.2% of the chart’s power and 13.14 harmodynes and house 10 has 9.1% chart power and 1.78 discordynes. So the fourth house has more power and more harmony, but if you predict a Republican victory based on these numbers you will only have a 32% chance of being right. This election New Moon chart will commence October 15, 2012. Neptune in house 4 (the Republicans) is the dominant planet and it’s trine Saturn in house 1. Neptune is the planet of great expectations, but it’s tendency is to exaggerate and confuse the issue. And Saturn is the planet of unemployment, poverty and suffering. He’s pragmatic, practical and conservative. So the chart does indicate a conservative – even fearful – trend influencing the American people from October 15 to November 13, 2012, but how this might play out on election-day awaits observation. Neptune and Saturn dominate the chart and Saturn – the fear card – conjunction ascendant is the chart’s dominant aspect. An important event related to the chart could occur around October 15 so you can watch what happens and observe its influence on the American people. And October 24 looks like an eventful day – transit Sun in the chart forms a conjunction aspect with Saturn. House 7 is the weakest so no major international crisis is likely to alter the election outcome. In lesson No. 149 of Course 13 – Mundane Astrology explains that the Brotherhood of Light mundane astrology class picked the successful candidate in national and local elections, with one exception, for twenty-three years and that in the important elections the predictions were made months in advance. 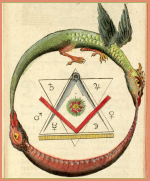 This lesson was published in 1938 – two years before The B of L Astrological Research Department conducted its ‘twin’ research that radically altered our understanding of the birthchart and the environment in which it operates. And one wonders if the tone of inevitability conveyed in lesson No. 149 could have been modified to accommodate this new astrological information. 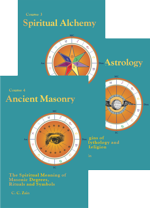 The inner-world astrological environment and the outer-world physical environment are in a dynamic state of activity so the idea that an inevitable event can be predicted months in advance is the old astrology. Stellar Dynamics – the new astrology – is requesting a new scientific investigation into the astrological charts involved in gauging elections so that the whole issue of predicting the winning candidate can be put on solid scientific footing. And as the electorate’s voting intentions provide vital data pertaining to the election surely the last opinion poll before election-day must provide the astrologer with crucial key data. And then as more scientific data is acquired longer-range predictions can be made. After all most people are only interested in tomorrow’s weather, even though the weather bureau does provide long-range weather forecasts for those who are interested.